We have vast experience working exclusively with amputees to restore your quality of life through personalized prosthetic care in a family-friendly atmosphere. Mark is a dedicated, compassionate prosthetic clinician with a desire to continually provide amputees an unparalleled standard of prosthetic care. 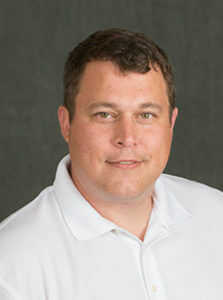 He brings over 15 years of experience working with patients and putting their needs first. Mark has over a decade of health care experience and has gained extensive knowledge in designing prostheses for upper and lower extremities. He is certified in a variety of prosthetic devices including Otto Bock Microprocessor knees and upper extremity componentry, WalkAide, PropioFoot, iWalk Powerfoot BiOM, and Compas. Mark also served as National Residency Program Director for prosthetic residents of Physiotherapy Associates. 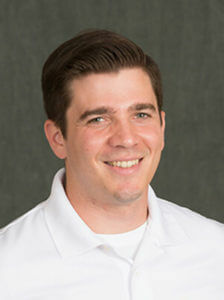 Prior to his work in prosthetics, Mark worked as a Certified Athletic Trainer in both the inpatient and outpatient rehabilitation settings at Hanover Hospital and the University of Pittsburgh Medical Center. Joshua is a creative, detail oriented prosthetic technician. He believes that every patient and every prosthesis is unique and deserves skill and attention to achieve the best fit and finish. Joshua is on the forefront of new technologies, materials and techniques which enables him and the Kinetic team to make sockets that are lighter, more durable, and more comfortable for patients. 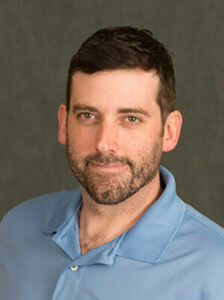 Joshua is an ABC certified prosthetic technician with over 15 years experience. From prosthetic design and construction to personalized laminations and cosmetic covers, Joshua is thoroughly experienced in all aspects of prosthetic fabrication. After a hard days work in the prosthetic lab, Joshua goes home and continues honing his fabrication skills. He is currently restoring an old farmhouse, planning to weld a tractor from scratch and teaching his son the finer points of using a fork to put food in his mouth instead of on the curtains. Andrew is a resourceful and innovative prosthetist with a background working with patients in private practice and hospital settings. Having a background in engineering gives him an edge in working with emerging technologies in the field of prosthetics. Andrew utilizes a CAD modeling program and a 3D printer to solve unique challenges facing patients that can’t readily be addressed with traditional approaches. Andrew has volunteered with numerous adaptive sports organizations, building on his past as a climbing instructor and trip leader. While primarily focusing on adaptive climbing, he has also taken part in skiing, golfing, biking, kayaking, basketball, and rugby events. Andrew is dedicated to helping every individual participate in the recreation activities they want to, both inside and outside of his work life. Zeneida comes to us with a diverse background of experience. 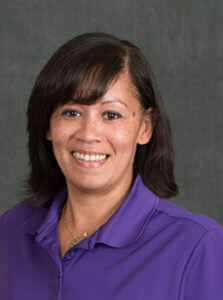 Zeneida started her professional career as an inventory control specialist with Walmart Stores Inc. Following several years of accomplishment, she decided to focus all her attention on raising her four children (including twin boys) while earning her cosmetology degree in her spare time. Zeneida, realizing that she enjoyed helping people, decided to change her focus and work in an area that would allow her to assist people with medical needs. Zeneida earned her Medical Billing and Coding degree from Delaware County Community College where she was a Dean’s list student during each semester. Zeneida started working at Kinetic Prosthetics in February 2017. Soon after starting, Zeneida earned her Certified Biller certificate from the Medical Billing Association. In her current role, Zeneida is responsible for insurance and benefit verification, financial responsibility, and facility billing.